People weren’t happy with his comments. Graham ended the segment by cracking his joke—which was called bigoted by people online. The senator’s remarks were not met well with people online. Bigot Lindsey Graham jokes about taking a DNA test: "I'll probably be Iranian. That'd be, like, terrible." Yes, terrible for Iran or any other people who might be associated in any way with a moral worm and sycophant like Lindsey Graham. WOW — Graham ends his 'Fox & Friends' interview with some gross, casual bigotry. 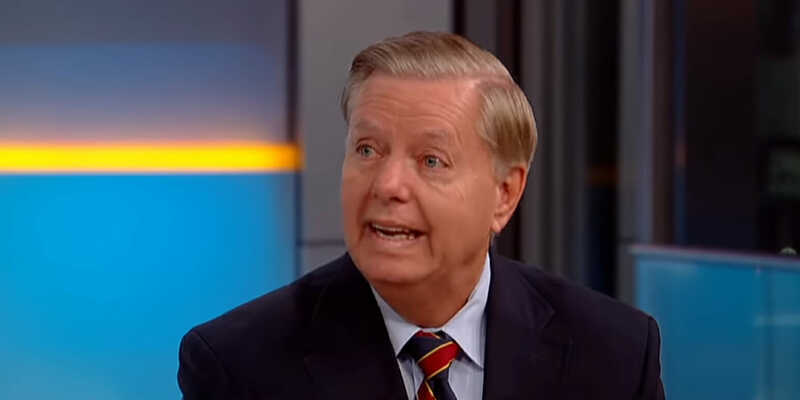 After announcing he plans to take a DNA test, Graham says, "I'll probably be Iranian. That'd be like, terrible." Lindsey Graham says he's glad he's not Iranian. He's actually from Vulgaria. It’s been a big few weeks for Graham, who catapulted into the national conversation when, during the confirmation hearings for Supreme Court justice Brett Kavanaugh, he became a hero to the far-right.